If you have seen the show Hoarders, then you’re aware that hoarding is when someone collects or saves items to the point that it causes them distress. Bio Solutions is a company that cleans up hoarded areas and we would like to share a few things that you may not know about hoarding. The genetic component. The department of Psychiatry and Behavioral Sciences at John Hopkins University School of Medicine conducted an OCD Collaborative Genetics Study and found that compulsive hoarding behaviors is linked to chromosome 14. So, the behavior can be passed down from parents to their children and often, it takes a trauma such as abuse to bring out the behavior. Hoarding may not be exactly what you think. You probably think of things piled to the ceiling when you think of hoarding. 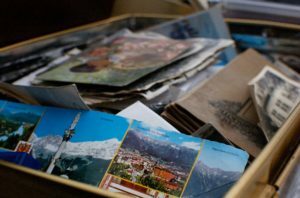 What you may not realize is that hoarders use every space they are afforded and it tends to interfere with their daily activities and personal care. For example, a study on hoarders over the age of 60 showed that 45% couldn’t use their refrigerator because either they could not get to it or it was filled, even with non-food items. The bathroom is not an exception with 42% not being able to use their bathtub because it was filled with items and 10% not being able to get to their toilet. Not being able to take a bath or use the toilet can dramatically affect their hygiene, as you can imagine. As a result, many hoarders are ashamed of the way they are and don’t have people around them. Hoarders are perfectionist. When someone is a perfectionist, they see things as all or nothing and believe me when I say that hoarders see it just that way. I’ve seen it many times. To feel content, they must get that “just right” feeling. As a result, they do things over and over until they feel they got it right. That may mean they won’t have just a few of something laying around. Hoarders will keep buying more until they feel they have enough. This may mean they could have hundreds of any given item. We hope you found this interesting and learned something new. If you would like more facts about hoarding, be sure to follow us on Facebook and Twitter @BioSolutionsMD. If you or someone you know hoards and needs some help call us at 301.378.0702 and we’ll help make your space safe for your health again.